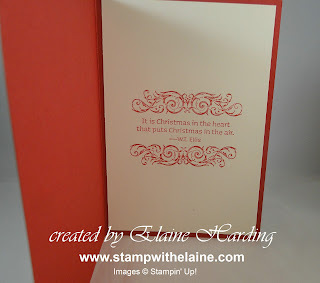 For my Sunday share, here are the rest of the cards using the Open Sleigh stamp set. 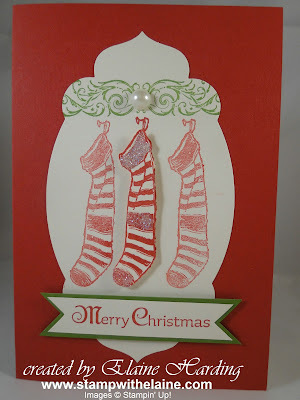 I stuck to the Riding Hood Red colour palette, used the stamp off technique to make the stockings on either side of the middle appear much lighter. 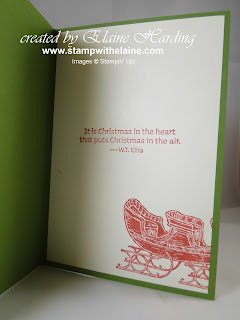 The centre stocking was stamped on a piece of Very Vanilla card stock then cut out by hand before adhering it to the Apothecary Accents framelits. 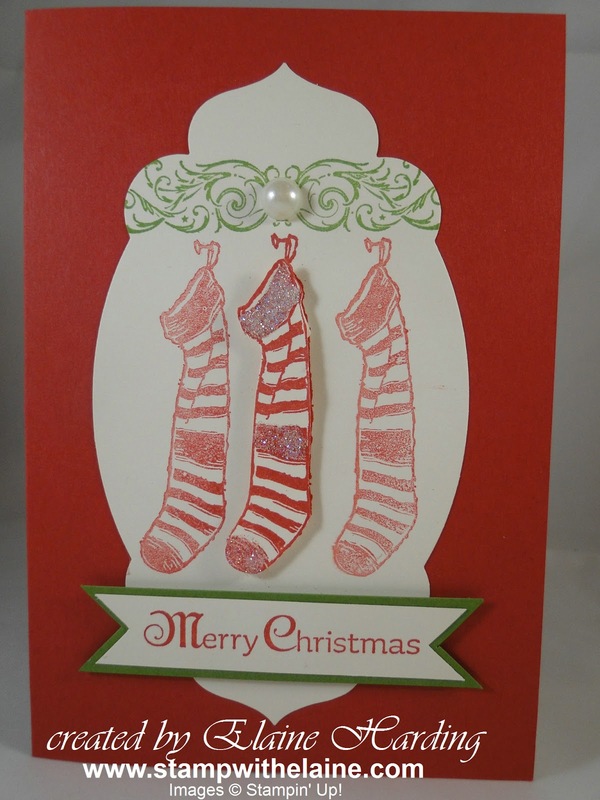 I stamped the motif top and bottom to "frame" the greeting. 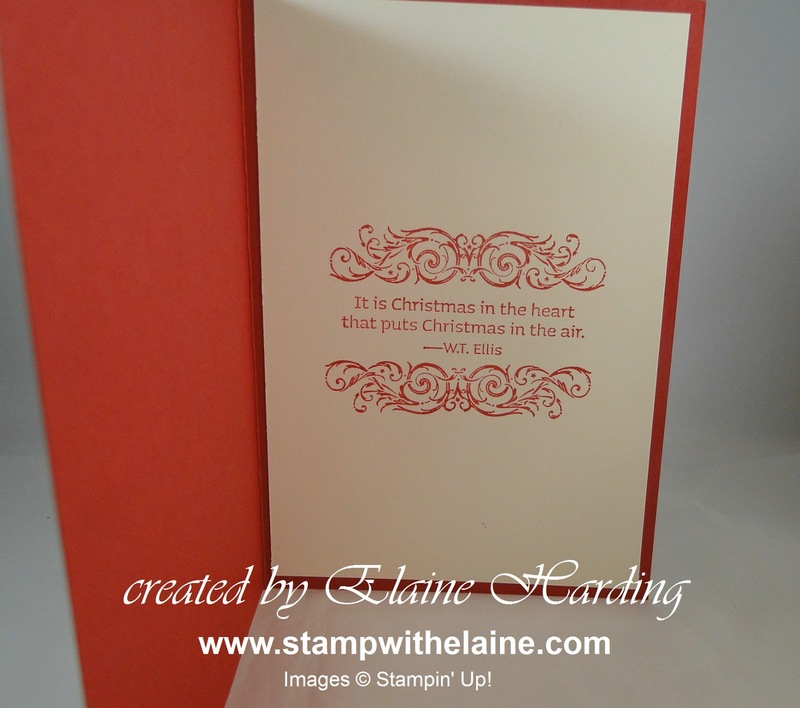 The insides are clean and simple. If you're making alot, the cards have to be quick and easy! Off to an all day Christmas crop today. What are you doing? Christmas shopping perhaps? 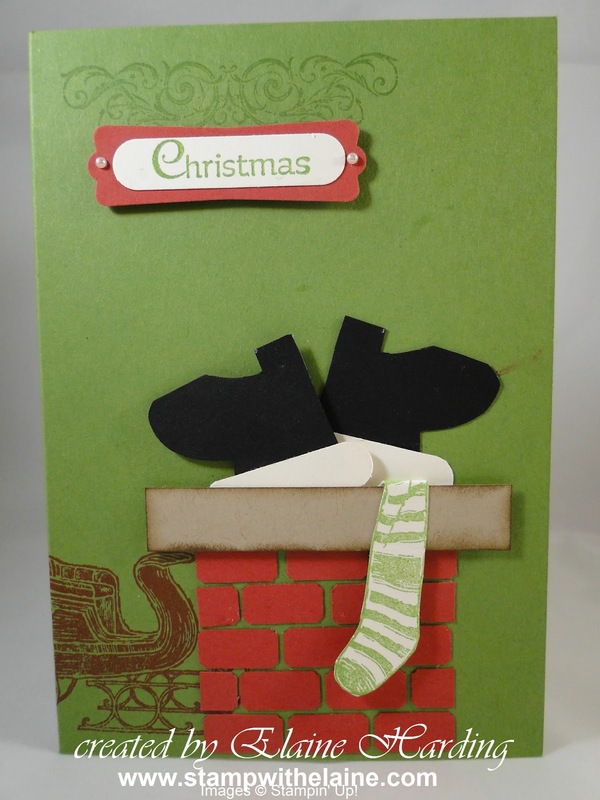 Well, whatever it is, have a good one! !